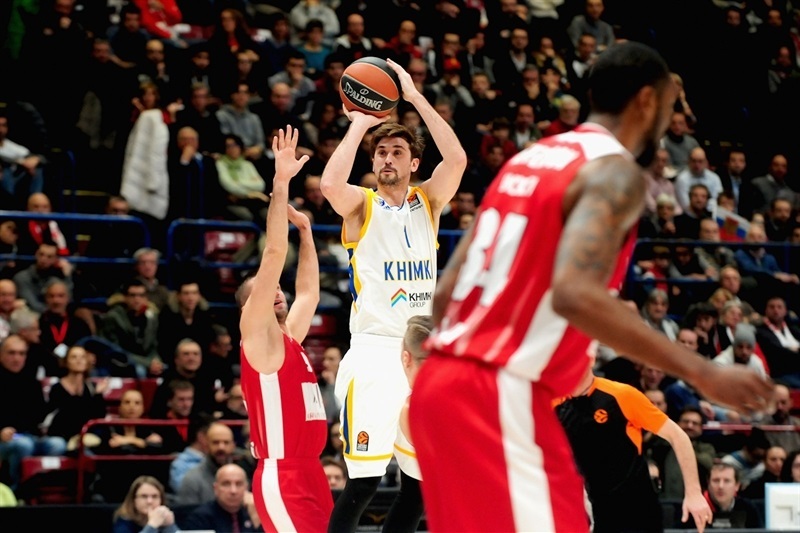 Alexey Shved scored a career-high 29 points to lead Khimki Moscow Region to a come-from-behind 71-77 road win against AX Armani Exchange Olimpia Milano on Thursday night. 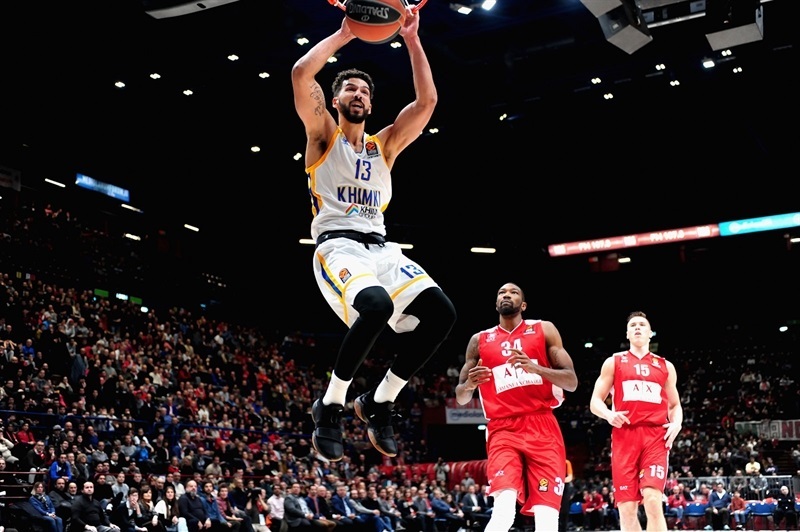 Khimki improved to 7-4, while Milan dropped to 3-8 on the season. 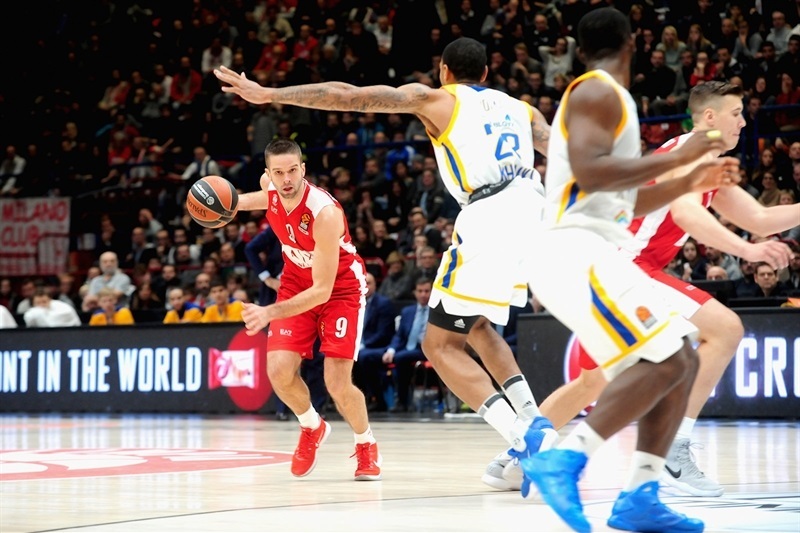 The hosts led the entire first half and still had a 42-31 margin early in the second, but Shved sparked Khimki’s offense by scoring 18 points in the second half, including 4 triples, as the visitors turned things around. Shved also had 4 assists and 2 steals, while Andrey Zubkov scored a career-high 15 points without a miss. 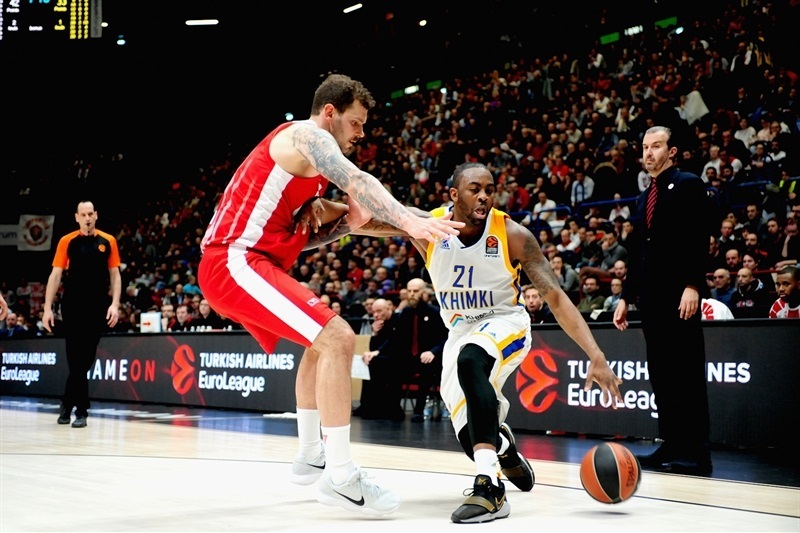 Playing against his former club, Charles Jenkins scored 10 points for Khimki, which was without Thomas Robinson and Stefan Markovic. 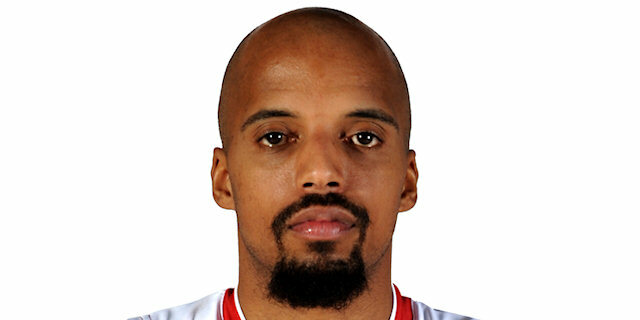 For the hosts, Curtis Jerrells netted 17, while Jordan Theodore had 11 of his 14 points in the first quarter, and he also dished 8 assists and had 3 steals. Kaleb Tarczewski contributed 10 points in the losing effort. Milan scored on five of its first six trips down the floor, with Micov hitting a triple, Theodore sinking a jumper, and Tarczewski slamming it home to make it 11-6. Shved had 6 early points for the visitors, but Tarczewski had 3 offensive rebounds, Cory Jefferson netted a corner triple and Theodore fed Gudaitis, who finished the first quarter with a fastbreak that made it 24-12. Zubkov gave a lift to Khimki’s offense with a triple and a fastbreak layup to open second quarter, but Curtis Jerrells strung together 7 points on the other end, keeping the lead safe at 31-19. Shved hit a transition triple to get into double-digits, and Zubkov scored 5 more points, helping cut the deficit to 34-31. 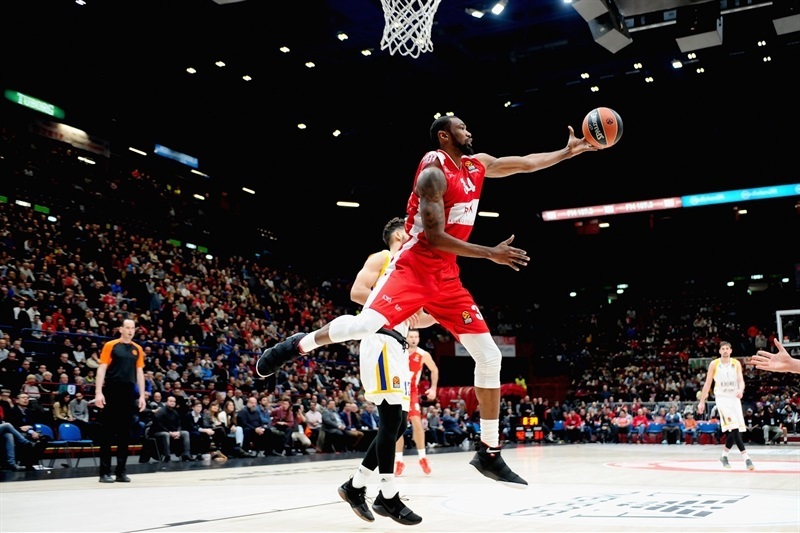 However, Theodore made sure Milan’s deficit did not melt and his laser pass for a Tarczewski dunk helped the hosts to 38-31 edge at the break. 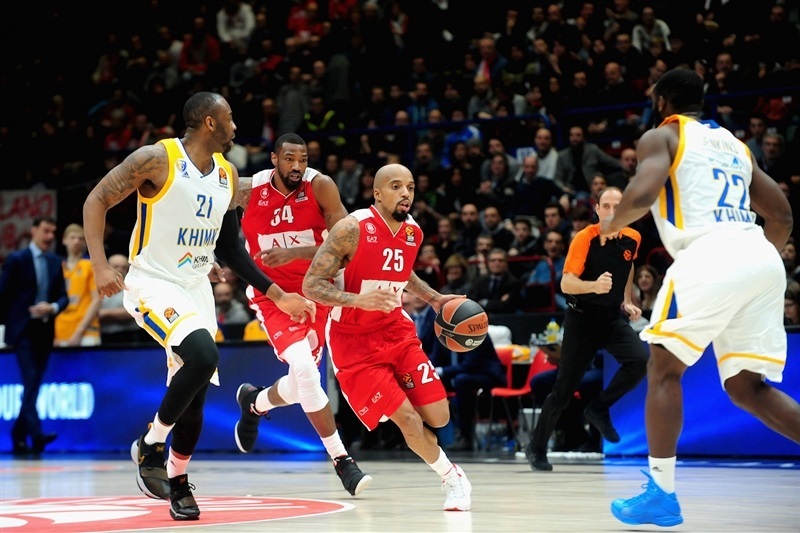 Jefferson’s baseline jumper restored a double-digit lead early in the third, but Shved ignited Khimki with driving layups, and Khimki turned 4 steals into easy fastbreak baskets. One of those by Malcolm Thomas sent Jenkins for an uncontested layup that tied it at 46-46. 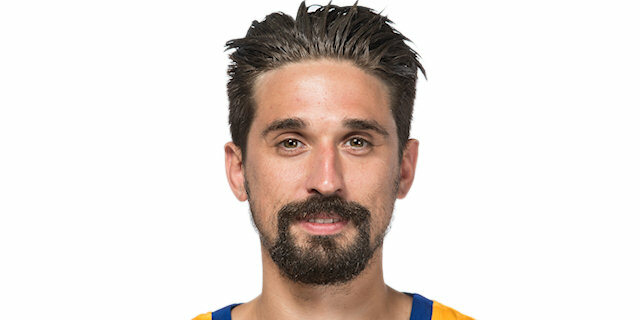 After Kalnietis and Zubkov traded triples, Shved hit a pair from downtown to give Khimki a 51-55 lead. 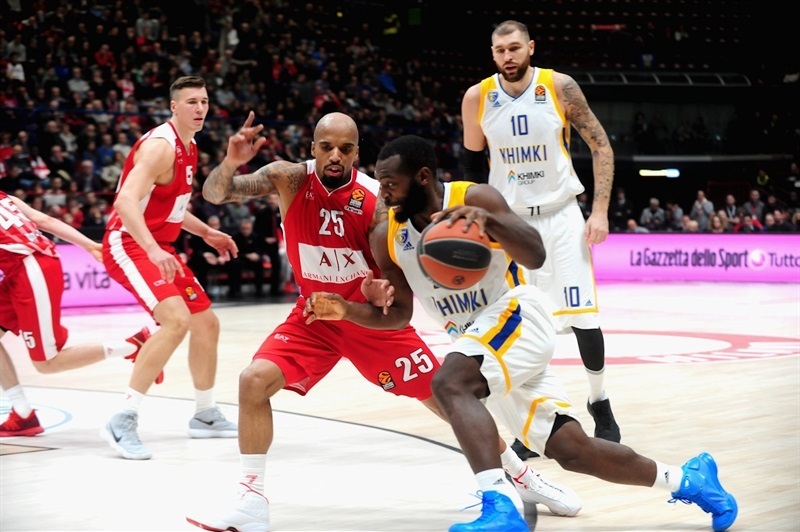 A three-point play from Davide Pascolo put Milan up 56-55 at the end of the third, but Khimki scored the first 7 points of the fourth, including Shved’s fourth triple, and another fastbreak layup from Jenkins made it 56-62. 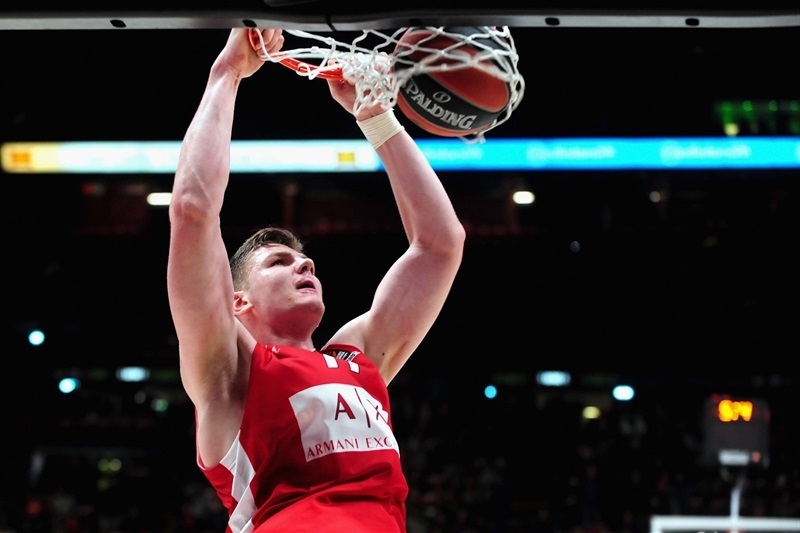 Jerrells gave Milan hope with a pair of triples, and Bertans hit one to cut the deficit to 65-66. 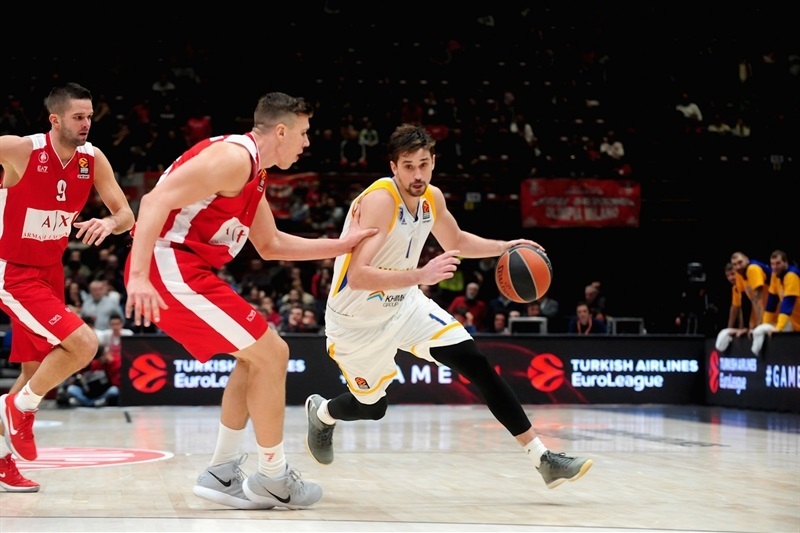 However, Shved calmly hit a three-pointer from the mid-court circle and set up a Thomas close-range basket that opened a 67-75 advantage before Khimki closed the game out. "We played a great first quarter, attacking their switching defense to go with the big men inside, and defensively we were perfect. 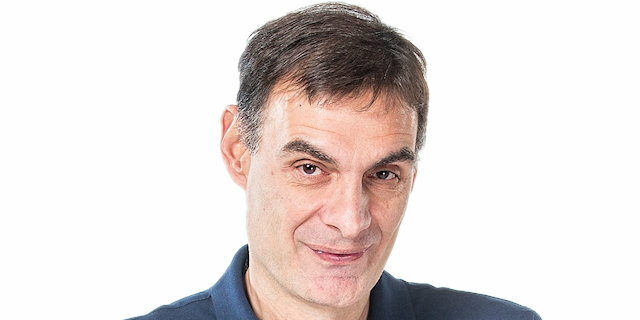 But in the second quarter we were superficial and in the second half we lost control of the tempo offensively. In the end we felt the pressure from the previous game. We are playing every game face to face with everybody, but for some reasons we lose too many of them. Now we have to regain confidence." "We were very solid in the second half. We played as a team. It was remarkable how we controlled the game. We minimized our turnovers. We had 9 turnovers in the first half and it was important for us to minimize our turnovers, to be consistent on both ends, and achieve this great victory. It is difficult to play here; it is not easy against such a talented team like Milan. We are happy for our second victory on the road. I appreciate the players’ efforts. And we did whatever we could to win this important game for us." "We played well in the first quarter, but in the end we came up short. Give Shved a lot of credit, he made some big shots even when contested. We need to stay focused and think to the next game." "My teammates trust me, and they pass me a lot of balls. I just played my game and everybody played good. The first half they played much better than us, but we kept playing our game and just stayed together. Any EuroLeague game is hard, and this one was for sure. They started the first half really good and played great, and scored a lot of easy points. In the second half, we started playing more aggressive. We moved the ball well, and that’s why we won, I think."